The traditional New Year’s concert, held on December 26th before the packed auditorium of Kolarac Endowment, the National Song and Dance Ensemble Kolo finalised the first part of their, thus far very successful and intense, 68th artistic season entitled ‘Kolo 70’, announcing a major anniversary – 70 years of the ensemble’s existence. Along with summing up seven decades of continual operation of the national folk dance company, in itself worthy of a celebration, this anniversary is significant for symbolically marking the 70 years of performing traditional dances in Serbia on stage. Even though the foundation of the first cultural artistic societies in Belgrade begins in 1945, which was to become a mass occurrence throughout the country in the decades that followed, it is with the foundation of the first professional folk dance ensemble in former Yugoslavia, and their first performance at the National Theatre in December 1948, that a new genre of concert dance is established – choreographed folk dance (CFD). Based on the use of dance patterns from traditional rural practices, CFD has, in the past seven decades, developed as an authentic art form, through committed work of numerous choreographers such as Olga Skovran, Branko Marković, Dragomir Vuković, Desa Djordjević, Milorad Lonić. Along with significant oscillations in the approach to the folklore material, fluctuating between literal reinterpretation of traditional dances recorded in rural context and their extreme stylisation, the art of creating CFD reached its peak in the past years, so to speak. Current cultural politics largely contributed to this, by ambiguously and inconsistently, most often demagogically, taking advantage of the notion of preservation of traditional cultural heritage with no concrete long-term strategies of how to achieve it. Fully aware of their position and the centrifugal influence on concert performance of traditional dances throughout Serbia, members of creative team of the National Ensemble ‘Kolo’, lead by their head Vladimir Dekić, started their celebratory season in October with the five day gathering entitled Ethno Summit ‘Tradition New’, bringing together theoreticians, ethno-choreologists and dance anthropologists, as well as professional performers from the region of former Yugoslavia, with the idea of making ‘Belgrade a place of researching, contemplating and creating our very future’. 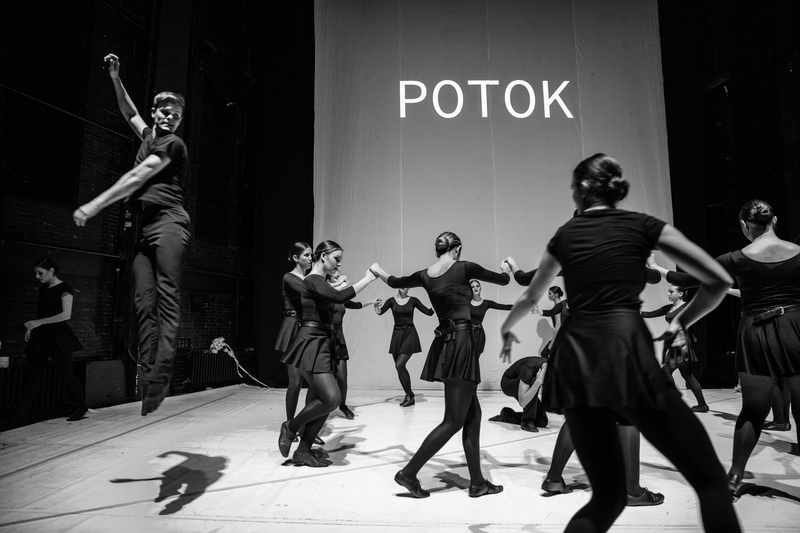 However, with the concert held on December 26, Ensemble ‘Kolo’ once again, as though in a symbolic encore, showed the faithful aficionados of choreographed folk dances nine classic pieces created between 1948 and 2006. Among them were ‘Kalač, Prizren Dances’ by Olga Skovran and Božidar Trudić (1948), ‘The Banat Motifs’ by Dobrivoje Putnik and Borisav Janković (1964), ‘Podgrmečje, Dances from Bosnia’ by Vasa Popović and Petar Joksimović (1978), ‘Folk Dances from the Niš region’ by Slavica Mihailović and Zoran Isailović (2004). This time round, the concert started with CFD ‘Dances from Šumadija’ by Desanka Djordjević and Slavko Mitrović. Even though the latter is a relatively recent choreographic piece (staged in 2006), this CFD represents a classic approach to staging of traditional dances, based on adherence to traditional samples, slow and clear shifts of choreographic images, absence of significant variation processes. The final number, as has become customary in ‘Kolo’’s performances (which could perhaps be changed, even if only for the sake of contrast), was a flamboyant CFD ‘Queens of Duboka, Dances of Duboka, Eastern Serbia’ by Borivoje Talevski and Verica Miloradović, from 1985. Standardly well rehearsed, as is expected of professionals, the ensemble performed the selected programme decently, with no significant performing motivation (‘Kalač, Dances from Prizren’ and ‘Wedding Customs from the Village of Koretište’), probably a result of overexertion following the intense work in the past months. Men’s ensemble performance, however, in virtuosic segments of CFD ‘The Banat Motifs’ and ‘Dances from Stara planina’ and ‘Trojno’, was exquisitely energetic and impressive in terms of performance, as befits professionals. By selecting this programme, ‘Kolo’ once again confirmed the standards of choreographed folk dances in Serbia. The question imposes itself of where to go from there. It seems that the year 2018, in which some new paths of staging traditional dances could emerge, could indeed be a turning point, demonstrating whether we realistically have the artistic and creative potential for further development of CFD as an undoubtedly valuable form of concert dance art, surviving as an independent artistic genre for 70 full years.